When Trish from TLC Book Tours said she wanted to ask me, specifically, about reading this book, I almost said no. I mean, who wants to read another book about some woman they don’t know talking about her cancer. But I’ve been working with TLC for a few years now, and even though we don’t have much direct contact, I’ve noticed that Trish has an unerring knack for matching people and books, so I went against my initial reaction, and said yes. I’m really glad I did, because it turns out that I knew Mary Elizabeth Williams from her work – Gimme Shelter is amazing, by the way – and her style is to candid and breezy and funny and snarky that I felt like reading her story was listening to one of my best girlfriends describing their experience. She was explicit enough that picturing her tumor, and understanding exactly what was going on, was relatively simply, yet she didn’t subject people to horror-movie levels of gore, and when things were turning darker or too serious, she would inject just enough humor to help lighten the moment without making it seem like there was no jeopardy, or things weren’t that dire. It’s a tricky edge to ride. Almost as tricky, I’d wager, as dealing with malignant melanoma while raising two daughters and reconciling with your ex-husband, which are all things Williams was doing. Now, here’s where I share that I had a good friend – a blog buddy who was brilliant and incisive with words – who died from malignant melanoma a few years ago, just after Christmas. His last blog post describes how bad he really was, and how he and his wife had decided not to tell the kids until after the holidays. This man was a soldier. He used to send me pictures from places like Kabul, and tell me about the people he encountered. I miss our discussions. I miss his writing. Even though we never met in person – we meant to – I miss him. 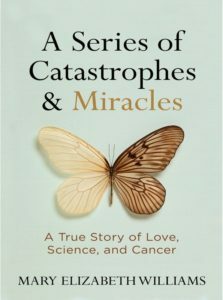 So, I knew, going into Williams’ book, that ‘skin cancer’ is a lot more dangerous than people think it is. 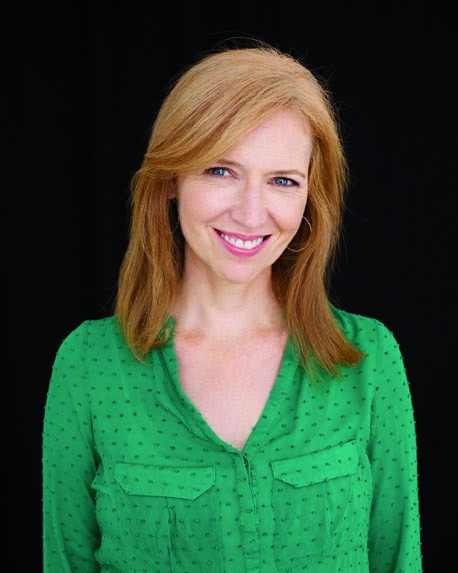 And Mary Elizabeth Williams is one lucky woman, with an incredible sense of humor. How can you not appreciate a woman who has to have a vodka tonic and a plate of buttered popovers before her first meeting with an oncologist at Sloan Kettering? How can you not become thoroughly engaged in a story that includes the author’s honest speculation that the most expensive part of her treatment may be bribing her kids. How indeed? As far as I can tell, the only way you will not immediately want Mary Elizabeth Williams as your best friend is by not reading this book. But you should read it. You should read A Series of Catastrophes and Miracles because it’s funny and honest and profoundly human. And really, fundamentally, even though it’s about this one woman and her one experience, it’s also about all of us, and how we choose to face catastrophes, and accept miracles. What could be more compelling than that? Goes well with buttered popovers and hot tea (Lady Grey is my pick), but a vodka tonic is perfectly acceptable as well. 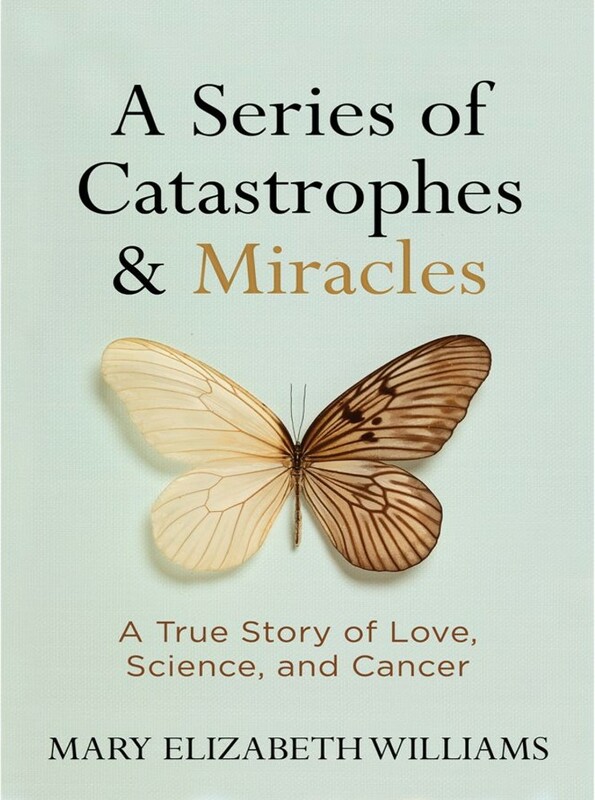 A Series of Catastrophes and Miracles, by Mary Elizabeth Williams by Melissa Bartell is licensed under a Creative Commons Attribution-NonCommercial-ShareAlike 4.0 International License. You have enticed me, send the book forthwith! I’m so pleased that you took the risk and that this turned out to be such an compelling read for you. Thanks for being a part of the tour! Melissa, I have all the heart eyes for you! !